I wanted to share some of my Coachella look from this year. I took my sister with me and my brother also stayed with us, so it was a family affair this time which made this year special. 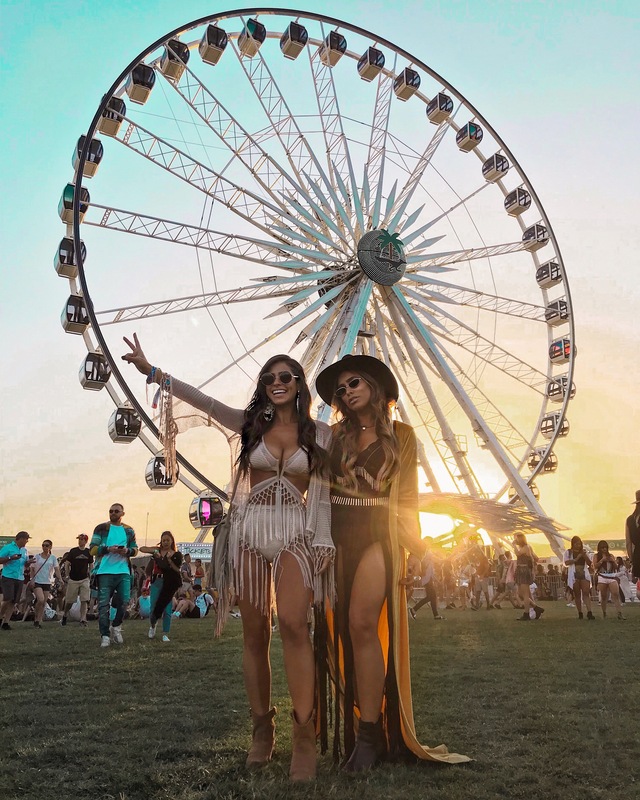 Coachella is always so overwhelming and a lot ever since being in the industry as a blogger. It’s more work and less fun for sure but still has its fun moments. I guess it all depends what you make of it. Being with my sister this year made it a lot more chill too. I didn’t stress about doing and going to everything this year. I hung out at Foray Collective’s desert oasis house, and stopped by the Revolve festival parties on Saturday and Sunday during the day, and hit up the festival each night around 6pm to midnight. It’s a lot of walking, standing on your feet, moving around from event to event, and pretty much no sleep. At the end you feel completely drained and exhausted. I would say my biggest Coachella tips would be to stay hydrated, wear comfortable shoes all day and at the festival (sneakers or comfortable booties), and bring a bandana in case it gets dusty to the walk back to your car or uber at the end of the night, it’s a long dusty walk. Below are some of my Coachella looks, and you can see more pictures on my Instagram. What do you guys think of this year’s looks? Love the fridge outfit with the booties 😊 where did you get it?